What Do You Think About…Moving Forward? Posted byMaking Time For Me November 15, 2016 Posted in#Blog, MakingTimeForMe, Marriage, Our Blended Family, Ways of Thinking, What Do You Think TuesdayTags: #moveforward, #moveon, #movingon, friends5 Comments on What Do You Think About…Moving Forward? 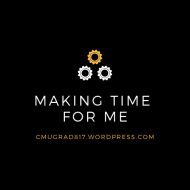 Making Time For Me, Blog at WordPress.com.